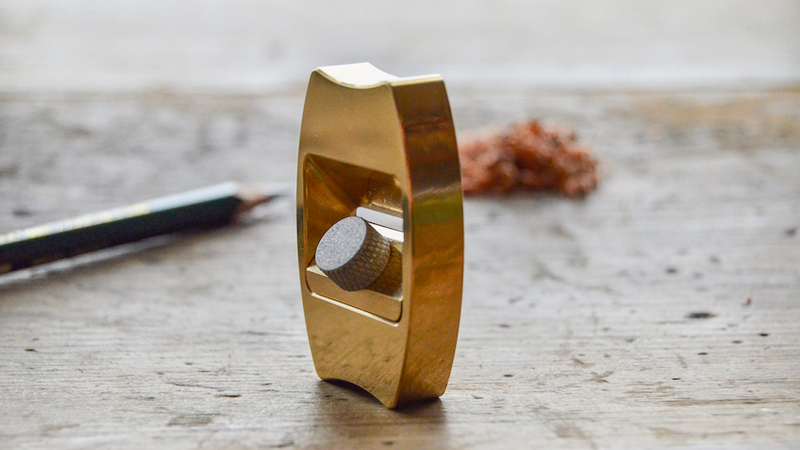 london-based studio brahman design released its first-ever product called ‘høvel’,which is a complete redesign of the traditional pencil sharpener. 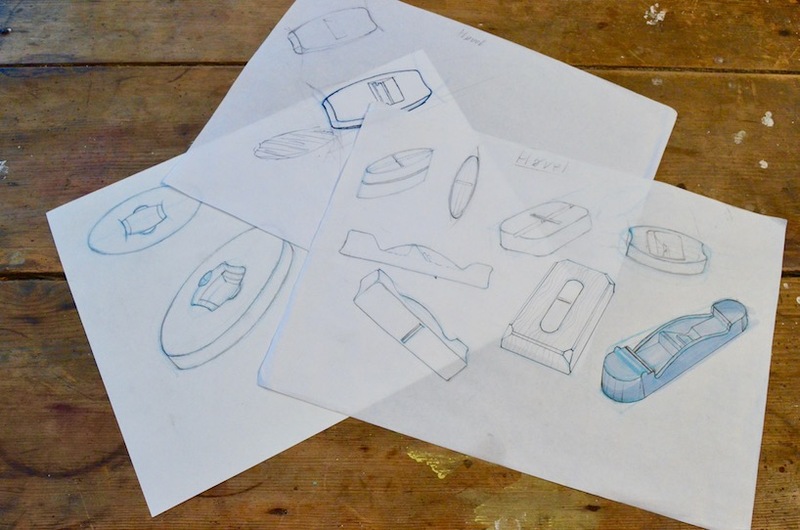 ‘the overall shape was carefully deliberated to achieve the perfect combination of ergonomics and functionality, while also expressing our passion for beautifully crafted objects,’ explains the designers. 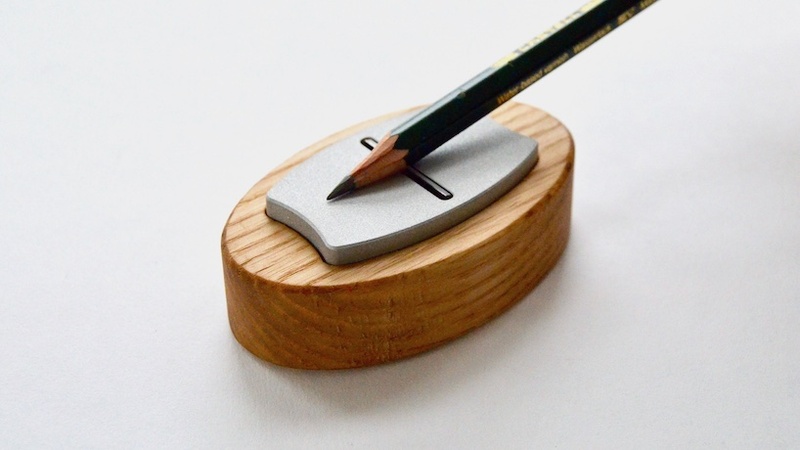 translated into ‘hand plane’ in norwegian, the høvel by brahman design offers users the freedom to sharpen any pencil at any point. 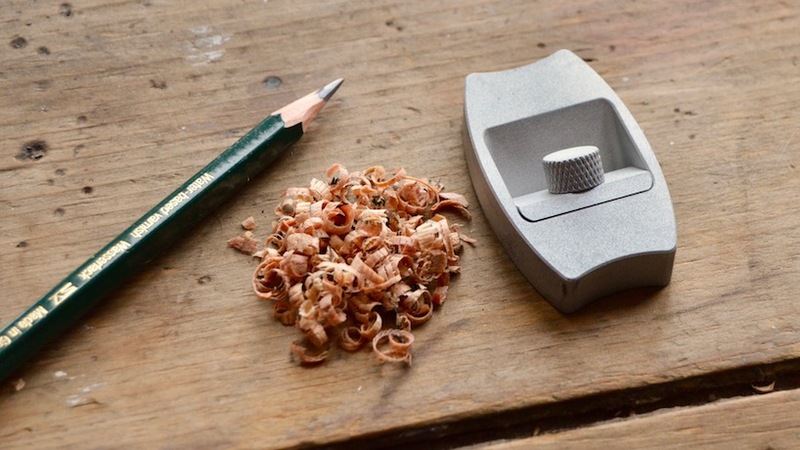 indeed, drawing on inspiration from traditional woodworking tools, the product emerged as a result of a dissatisfaction with the everyday pencil sharpener. the latter would often break the lead and become discarded once the blade goes dull. 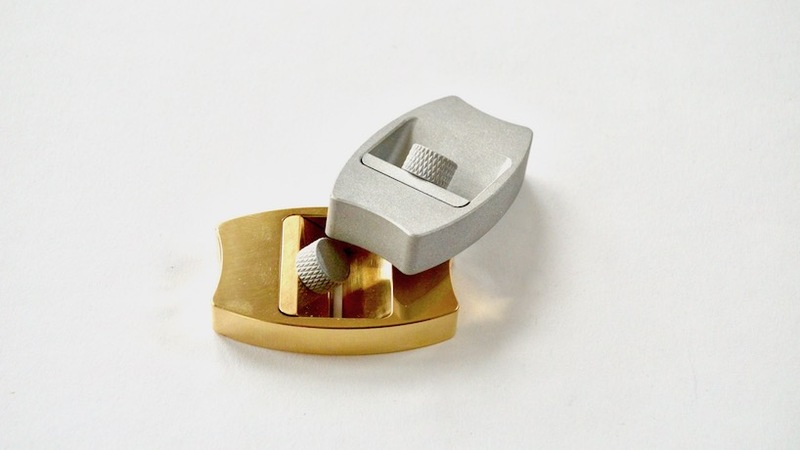 avaialble in both in both anodised aluminium and polished brass, høvel can be used on its own or with a base to catch the shavings. 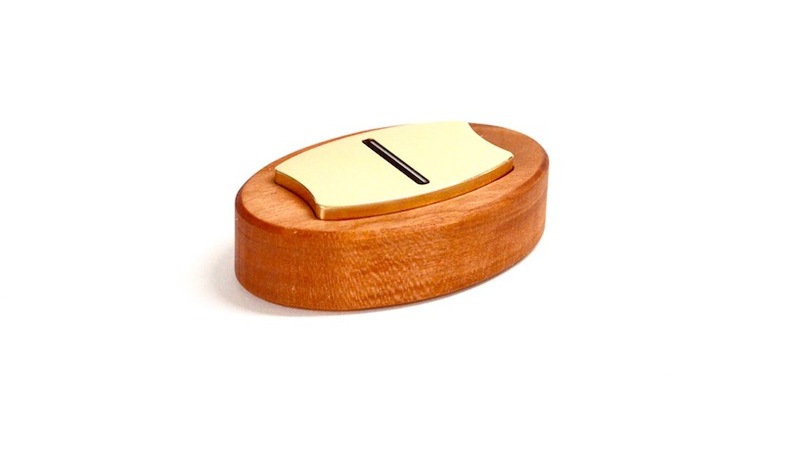 as for the base, users are free to choose between a wooden base in ash or cherry with a linseed oil finish. 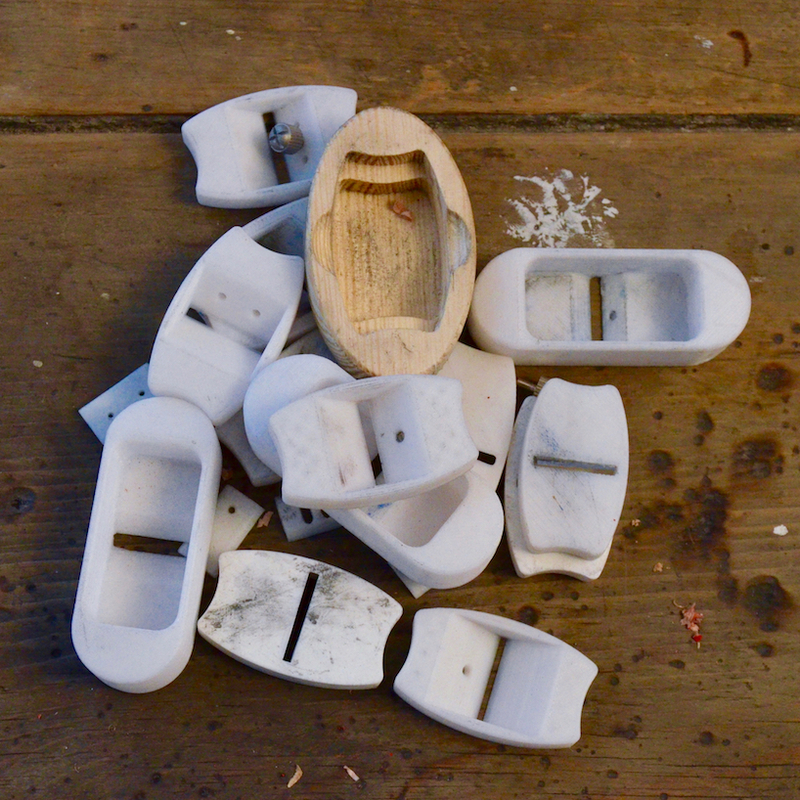 ‘after completing over fifteen physical prototypes and many more digital iterations, høvel has been meticulously designed to feel natural and intuitive with a perfectly angled blade making a new technique efficient and accessible to all’. 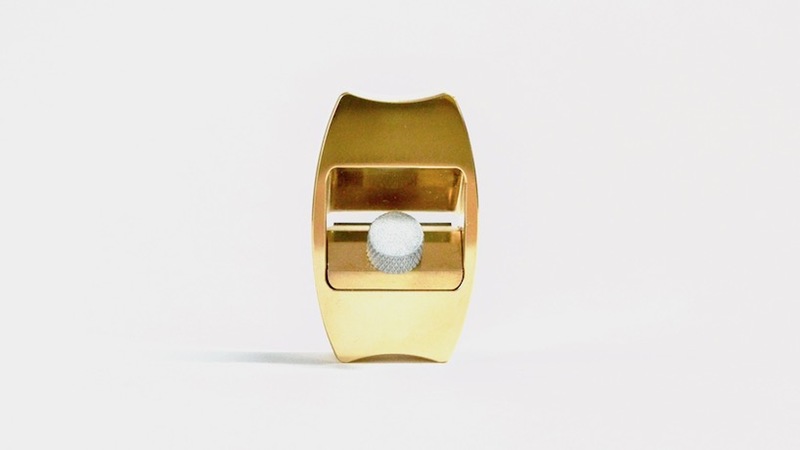 for more information about the product, you can visit the kickstarter page here. 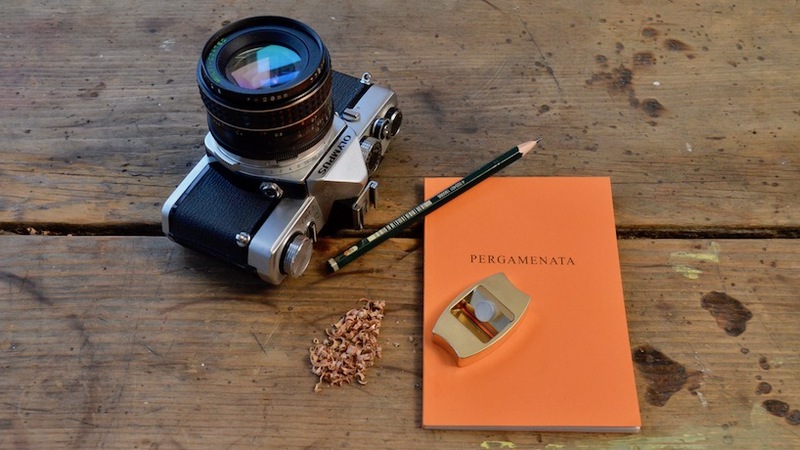 Because the world really needs a pencil sharpener that costs £30. ex postage. And people say designers these days are out of touch with real people! 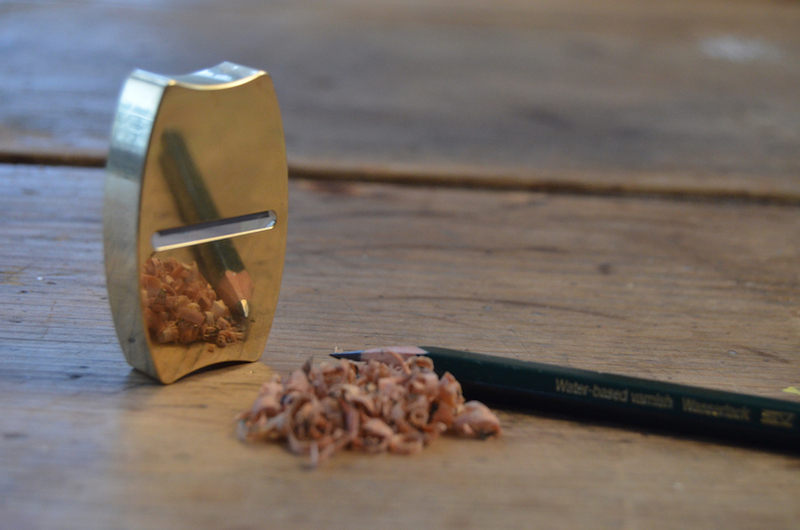 Finally someone who made a pencil sharpener that does not have to go in the bin every two months! Just change the blades and live on. 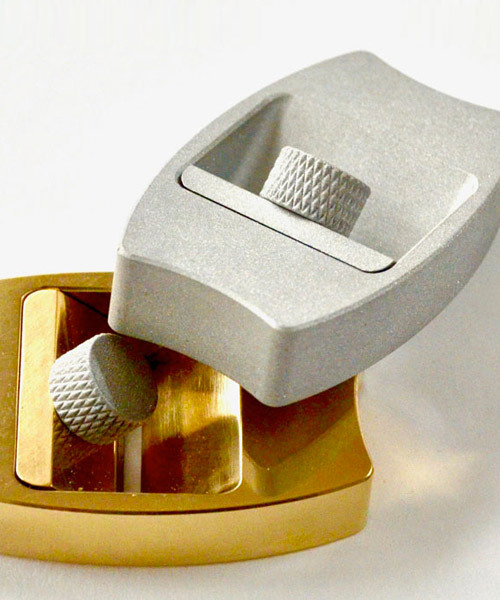 A good looking tool made from solid materials to replace plastic disposables. Worth every penny!